For relief this season, Connecticut homeowners call Charter Oak Mechanical, the premier HVAC Contractors. Summer is here - finally - and so is the sticky humidity and hot weather! Make sure your home is ready by hiring our HVAC contractors at Charter Oak Mechanical. 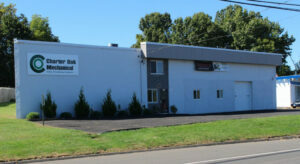 If you're looking for HVAC contractors in or around the central Connecticut area, you're in luck! You have some of the best heating, cooling and ventilation contractors around, and they're at Charter Oak Mechanical. We specialize in heating, ventilation, air conditioning, refrigeration, and more. Get your house in shape to make sure you won't spend your summer in unbearable heat or your winter shivering indoors! Give us a call today at (860) 432-8915 to make your appointment for a consultation. Enjoy the summer heat outdoors - while your home indoor environment remains comfortable. Using ductless mini-splits, we can install heating, cooling and air quality improvement with a single efficient system. Make sure your home's heating and cooling system is up to par with the HVAC contractors at Charter Oak Mechanical. No matter what your home's needs, we can help. Give us a call today to see how we can help!